In this post I’ll cover the most effective technique for fast tracking the creation of a table of contents for your book: Mind Mapping. You want to learn how to mind map a book if you’re an entrepreneur, an intrapreneur or a small business owner who wants to use a book as a lead generation tool for your business. You also want to learn how to mind map a book if you’re a professional, practitioner or coach who wants to use a book to be recognized as an expert in your field in order to attract media attention, increase your chances of booking paid speaking engagements, enhance your ability to create strategic partnerships, and as a calling card for prospects. Since technically you already have a book (or books) inside your head, due to your deep knowledge and expertise in your field, let’s now look into a clever technique to “get it out” and onto the printed page. What Is a Mind Map And What Is It Used For? If someone asked us “How are you planning to write your book?” most of us would likely default to the most common approach for information gathering: a note pad and a pen, or any of their electronic-device counterparts. The problem is that the act of writing ideas down linearly (i.e. think>write down>repeat) is not really aligned with the way our brains retrieve information. Our brains store information visually, so using a visual tool to retrieve our knowledge and ideas is more in tune with the way our brain naturally operates. This visual tool is called the Mind Map. Mind maps are a much more effective way to get the job done without feeling overwhelmed by the sheer amount of data that we need to access and sort through in order to write a book. What Are The Benefits of Mind Mapping? Speed: Mind maps save you a lot of time compared to the frustration of sifting through pages and pages of ideas captured through linear note taking. Organization: Mind maps allow you to see the forest for the trees by helping you organize and categorize your ideas in a visual way. Productivity: Mind maps make you much more productive because they easily translate into a book’s outline or table of contents. Creativity: Mind maps are a great idea generator as they elegantly bring into balance the creative right side of your brain with the critical thinking left side. Memory Recall: Mind maps enhance your ability to access facts and experiences stored deeply inside your brain. How Do Mind Maps Work? A Mind Map is a tool that encourages Radial Thinking. This is triggered by using a central idea (in your case, the main idea or premise of your book) and placing it at the center of the map. You then proceed to break down this central idea into its main components, branching out radially and away from the center. Next, you go a step deeper by breaking down the main components into sub-components also radially, and then repeat this process as many times as necessary. In summary, when it comes to brainstorming and capturing ideas, radial thinking is much more effective than linear thinking because it better approximates the way your brain works. Books written to support a business are a perfect fit for the mind mapping technique, because they tend to be very methodical in how they deliver a subject matter to readers. They begin with a main idea, usually captured in the title and sub-title, and then proceed to break down this main idea into its main components, sub-components, sub-sub-components, etc. This structure maps quite closely to the radial thinking approach inherent in mind mapping. Write down your book’s main idea in the center of the mind map and draw a circle around it. Ideally, you want to use a whiteboard. If you don’t have one, then use a large piece of unlined paper, or 4 pieces of computer paper taped together to create a large sheet. Don’t use paper with lines or grids. Radiating out from the main idea, create the central branches listing the key concepts derived from the main idea at the end of the branch (draw a circle around each concept). These key concepts are eventually going to be turned into chapters in your book. You may begin by drawing anywhere between 7 and 15 branches. Don’t worry about your book’s final chapter count at this stage. Initially, it’s better to have more chapters than fewer in order to give you some freedom – you can always combine two or more chapters later on in the process. Refrain from using long sentences; choose instead a short keyword that clearly represents each key concept (e.g. use “Sharing Gifts” instead of “Sharing Your Gifts with Others”). Also, it’s important to use a different color for each of the central branches to stimulate the creative side of your brain. For each central branch, free-associate ideas related to its key concept. These are the ideas that you’d want to convey to your readers. They will eventually become sub-chapters in your book. Now, using the color chosen for that branch, draw a sub-branch for each idea and write it down as a short keyword at the end of the sub-branch. Repeat the above process multiple times to expand on the ideas of the sub-branches, until you feel you’ve reached the desired depth of information. In summary, your book’s main idea will become the title and sub-title, the key concepts will become the chapters, the ideas stemming from the key concepts will become the sub-chapters, and subsequent sub-sub-branches will become headings and sub-headings within each sub-chapter. Keep in mind that the above are just guidelines and the process can be quite fluid. Once you go through the mind mapping process, the shape your book takes will be influenced by the information on the mind map – you may end up with only one level of sub-chapters, three or none at all. However, following the above four steps will always get you going in the right direction. There are many mind-mapping software tools available, some free and some paid. The free ones can be quite limiting and uninspiring (the mind maps they produce tend to be on the “ugly” side of things). The paid ones, on the other hand, produce beautiful visuals and tend to be jam-packed with features, but they are still limiting because you’re always bound by the size of your physical computer or tablet screen – in most instances you’ll find yourself having to scroll around a mind map that keeps getting bigger and bigger with time, missing out from seeing the big picture, which is key to your creative stimulation. In my opinion, the best solution is using a whiteboard (if you have one, of course – it’s not worth it buying one just to create a mind map). Whiteboards and a set of colorful dry-erase makers are ideal for creating great mind maps, because you can easily make corrections while you get to see the big picture at all times. If you do use a whiteboard, however, I suggest you take regular pictures of the full board with your smartphone as you progress, so that you are never at a loss should you erase something that you might end up needing later on. If you use paper, you may want to use color pencils so that you have the ability to erase and re-write. Paper is not as “neat” as a whiteboard, but it’s very effective and was used for decades before whiteboards became commonplace. A third option is to use colored post-it notes on a wall, and many people prefer this method. However, I don’t personally find this approach stimulating enough for the creative side of our brains. Even though each post-it note has unique information, the little squares all begin to look the same after a while. Can You Make a Mind Map using PowerPoint, Word or their Google Equivalents? Yes, you can and many people do. However, I find these alternatives to still be limiting (size of your screen) and worse yet, they can rapidly become a distraction. What you don’t want to do when mind mapping is to spend your creative “juices” and your valuable time crafting a beautiful-looking map at the exclusion of the time spent on the actual content. I don’t want you to fall into the temptation of the “pretty slideshow syndrome,” where we get lost in the PowerPoint features to get the right color and the right geometric shapes and the right shadows and line sizes and so on. Sometimes our procrastinating bug will lead us in this direction as a “cover” for some hidden resistance to jumping head first into the unknown of creating our first mind map. 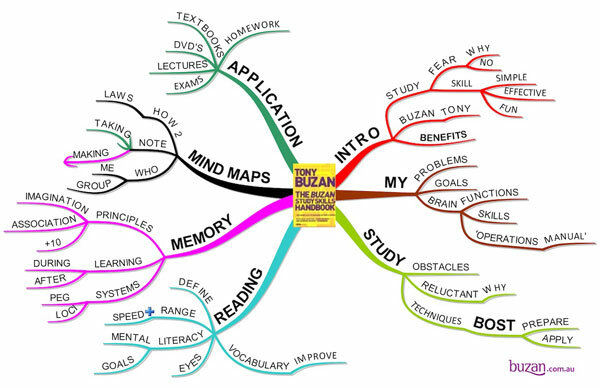 I do promise you this: once you get started creating your mind map, you won’t be able to stop! And at the end of the process you’ll not only have a great table of contents, but also you’ll be full of ideas and eager to start writing your book. There’s no better feeling than creating a tangible legacy of your life’s work that can be shared with others. Leave me a comment below if you have any questions or a specific need that I can help you address – I operate an author services firm that specializes in helping entrepreneurs, professionals and business owners who want to publish books as a calling card for prospects, to establish their status as an expert or to generate additional leads for their businesses. How Long Does it Take to Write a Book to Help Grow Your Business? 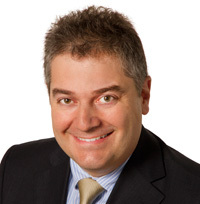 Bennett R. Coles is the author of 6 books published through Harper Collins (NY) and Titan Publishing Group (UK). He is also the publisher at Promontory Press and the founder/CEO of Cascadia Author Services, a boutique full-service firm that specializes in premium author services specifically designed for busy professionals. Our end-to-end services include writer coaching, ghostwriting, editing, proofing, cover design, book layout, eBook production, printing, distribution and marketing.